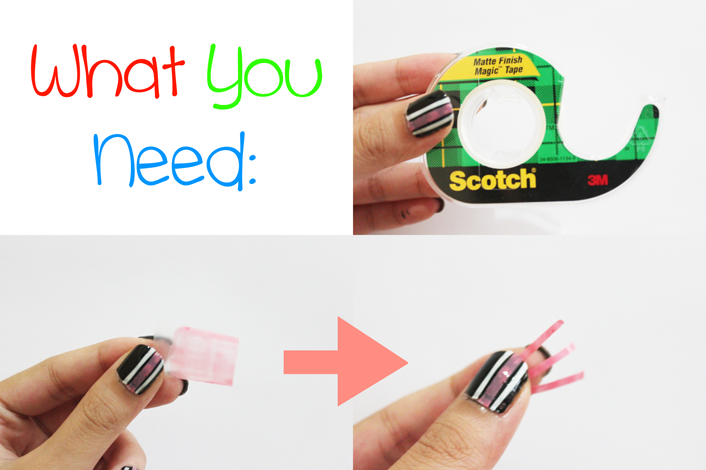 All you need is your base coat, top coat, nail polishes and the most important thing, Scotch Magic Tape! 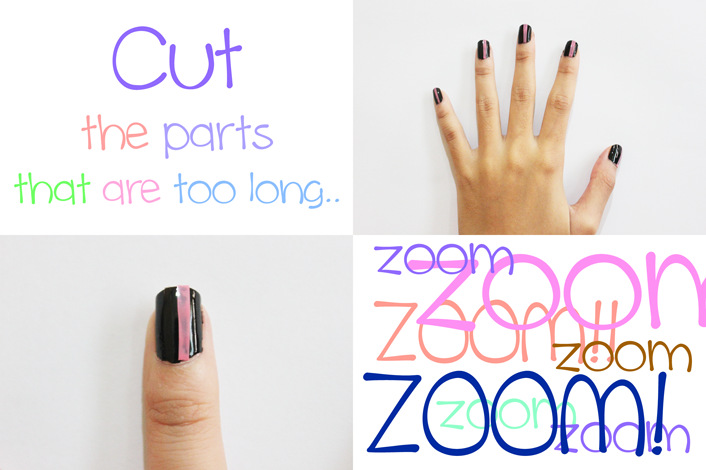 You'll find many magic tape at bookstore, cut the tape into small pieces then apply your nail polish onto it. Let it dry for some minutes, then cut into smaller thin pieces, these thin pieces will be our stripes later. You may need more layer applied to the tape for more intense color. 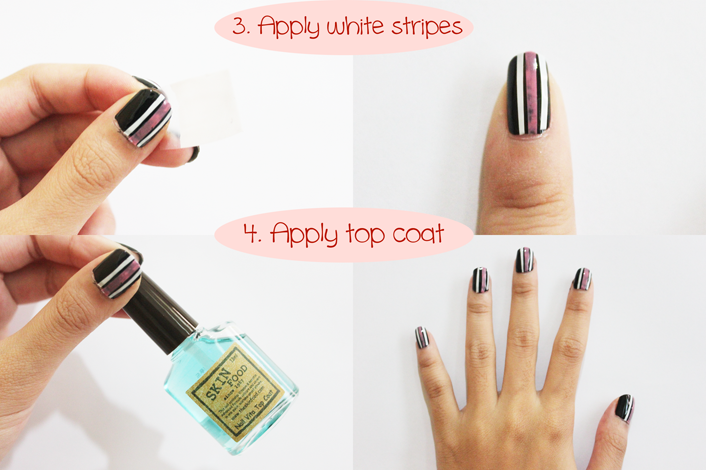 (In this tutorial I'm using 2 stripes colors: pink and white). And we're finish! Really easy to follow right? Tell me what do you think about it. thanks for sharing... btw i love the new layout! i really like your tutorial photos layout.. simple, clean and easy to understand!  i have followed you back, thanks! love you nails- they look amazing! 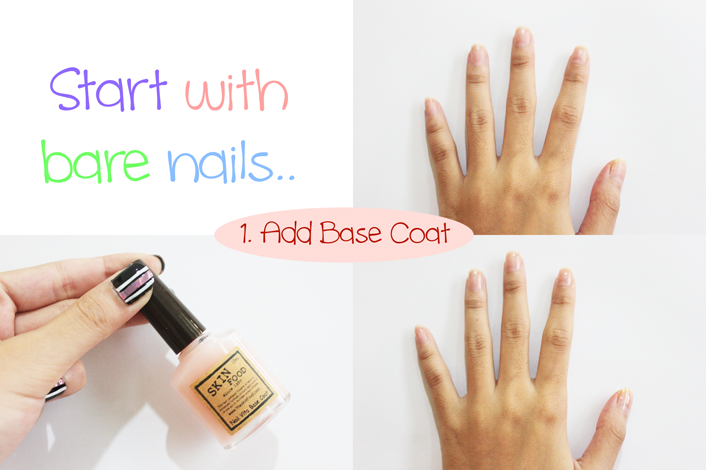 Scoth ada warna pink?setau aku warnanya putih susu gitu..
Hasilnya bagus loh, aku kira nail polish yang pink, selain itu hasilnya juga rapih. 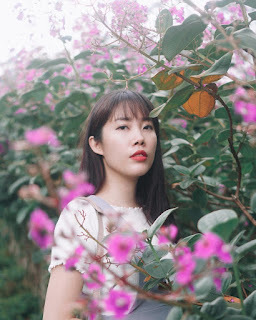 Enaknya punya kuku lebar dan panjang, kalo nail art punya ruang yang cukup luas untuk lukis. kukira itu pakai kuteks semua lho.. nice tricks! aaaa to cute! your nails are so neat. Ι jᥙѕt ԝаnteԁ to giᴠᥱ үоᥙ a qսісκ ҺeaԀѕ ᥙp! Οtɦеr thеn tһat, amаᴢіng bⅼߋg!